This is a mid-size 1950’s solid 9k. 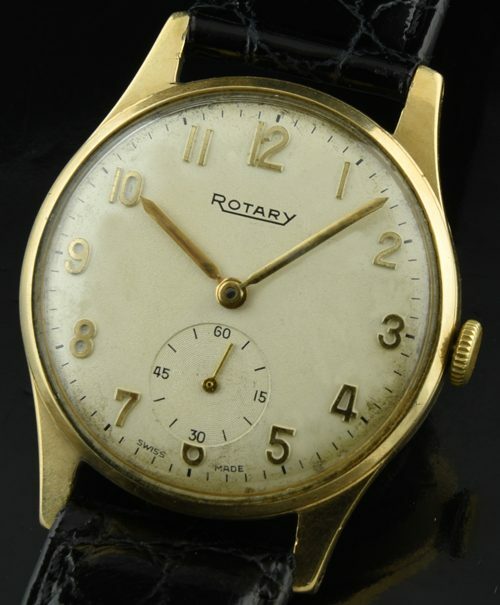 gold vintage ROTARY measuring 31mm. The manual winding winding SWISS movement was just cleaned and accurately keeping time. Notice the simple and fine looking raised gold Arabic numerals and sub-seconds. The dial is original with some patina. 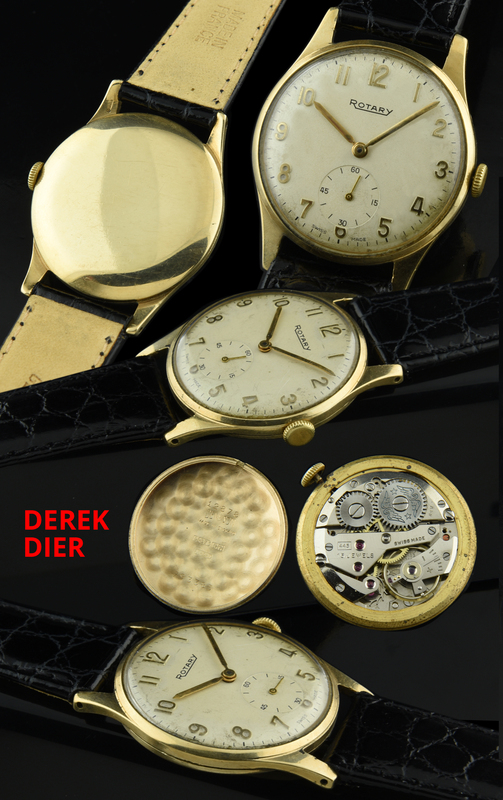 This is not a large watch, but a discreet sized vintage solid gold watch which can be worn by either a man or woman. Only $695.